Generally when I am doing a product review, I take a minimum of 2 weeks to try it out (but sometimes up to 4weeks depending on the product). In this case, I am confidant enough after only a few days that I am going to do my review now. 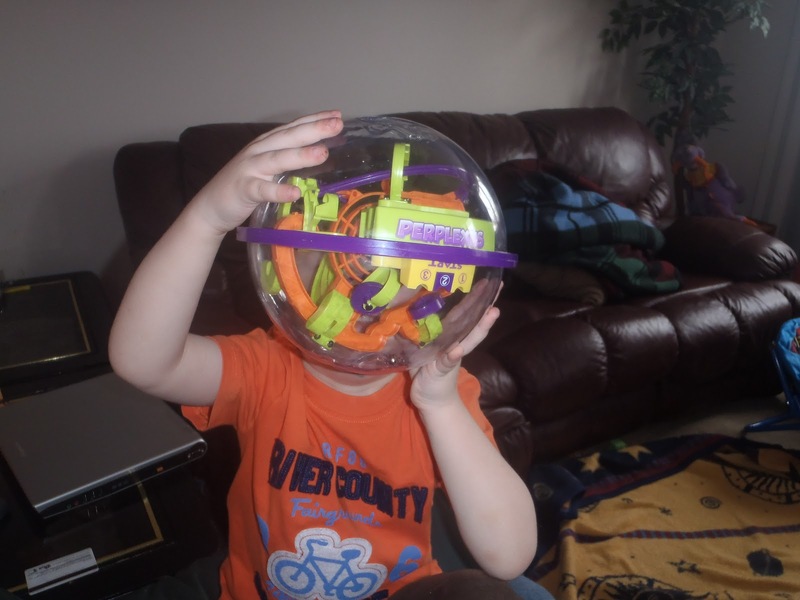 The Perplexus is designed for ages 6+ - it does not require batteries, has no electronic noises, and it can help with motor development and hand eye co-ordination. When the Perplexus arrived, Julien was quite excited to have a look and see what it was (it's actually bigger than his head). WARNING - it is highly addictive, and can be quite frustrating - but in a good way. It's a fun and challenging "brain activity". It took many, many tries for me before I finally got the ball in the middle cup (thinking I had finished the ball! Only then to be told by my husband the cup is only #66, and I still had 1/3 of the track to go) - and I can only do it by starting in the 3rd position. The furthest I have gotten is #76. I am trying to make it further along by starting in #1 or #2. Julien has lots of fun trying - he will often get me to put the ball in a start position and then he will spend a few minutes trying to move the ball without dropping off the track. He does get super frustrated sometimes, and I remind him that mommy and daddy can't do it always either. He likes when I get the ball onto the orange track, and then we move it around together to drop it into the cup at #66! My husband was a little surprised when he saw it - thought it was a kids toy. Then I told him about it - and he gave it a try.....and he really got into it. Every now and then he will pick it up to try it out - so far he has made it to position 72. Now hurry and head on out and buy one to try - you won't regret it! For a list of locations where you can find them, check out the website's Where 2 Buy section. I wouldn't suggest picking it up if you don't have the time to sit with it - it really is super addictive, and can be quite hard to put down. Thanks to PlaSmart for supplying me with the product to review! Check out their website for the other amazing products that they have to offer! Love it!My Mom has something similar to this. It can be mind boggling, but so much fun. I forgot to mention I'm commenting from SASS. I've seen these around and have been curious as to how they work - sounds like a really fun toy and I love how they are battery free! Thanks for participating in SASS! My work partner just broughtin the Epic today and I haven't been able to get by level 6 after an hour....humiliating! I am sooo wanting to try one of these. I keep seeing them pop up in reviews. I tried to win a few times but no such luck. 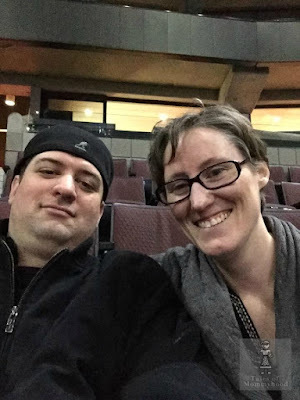 check out canadiandad.com - he is having a giveaway for one right now! I haven't heard of these before, but have always been a fan of this type of puzzle. Sounds really challenging. I love these sorts of activities, as I kid I used to have a bunch of brain puzzles that I would play with for hours - and no noises or batteries required is a double plus! This sounds absolutely fascinating. It's the perfect gift to get a kid, one that adults like to borrow as soon as the kids go to sleep! I have never heard of this company or this toy. I have kids who are puzzle fanatics, they are into strategy too, and this is something I would pick up for the summer when we hear the famous I'm bored. Thank you! Love it!! I had something like this when I was younger and then when my girls were younger they also had a ball like this one, it's very addicting and frustrating all at the same time!! Perplexus looks like it would be loads of fun while giving you a challenge at the same time. I bet this could bring on hours of fun because of it being so addictive.